About Yourself: I'm a diesel mechanic and love fishing and addicted to aquariums!! Advice: Ask questions and do your homework. Mistakes happen and dont beat yourself up by them. Filtration, filtration, filtration!!! And water changes. 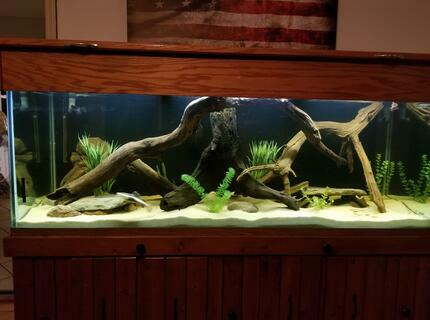 I do weekly 25% water changes to both my 125 gallon and 250 gallon tanks. Quote: you will learn by history or experience...but you will learn. 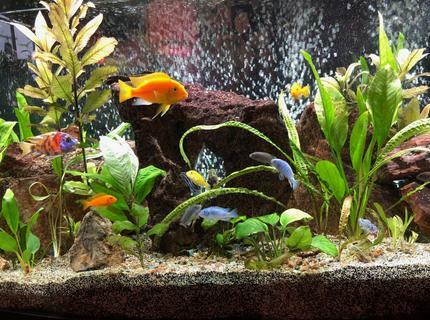 Fish Kept: Tetras, cories,glass cats, mollies. 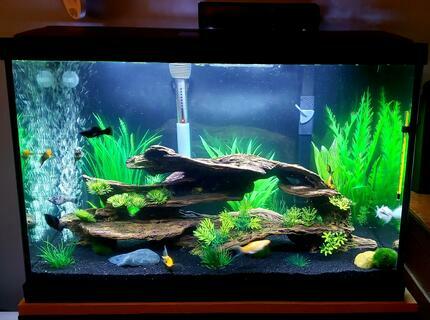 Description: 75g tank reworked with fx6 cannister filter and black sand. 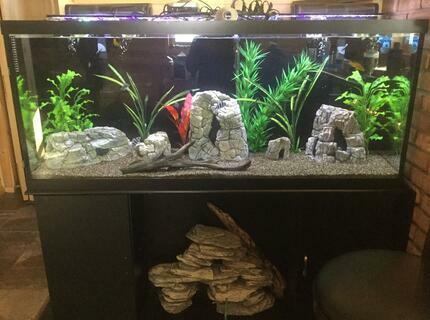 Tank is cool water and currently stocked to a minimum of 6 danios and 3 guppies. 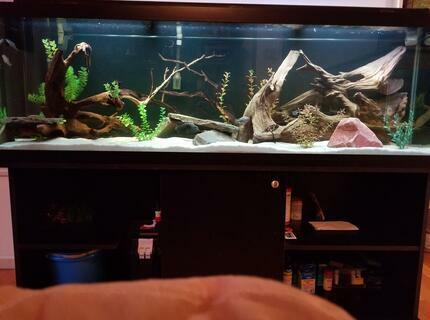 Ill add reticulated hillstream loach and a few more guppies once bio load has upped. Advice: Always have adequate filtration! About Yourself: BS and AS in Science, certified SCUBA Diver SSI and SDI, with specialties in Night Diver, Deep Diver, Boat Diver and Underwater Navigation. 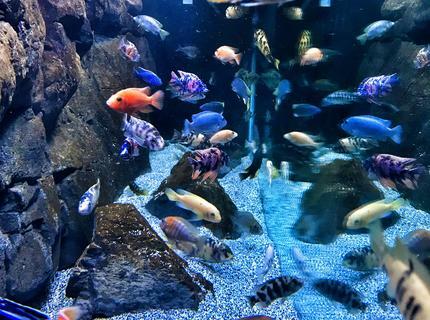 I'm a Master 4th Dan Taekwondo Black Belt & 11 years fish keeping. Advice: God bless and more power! 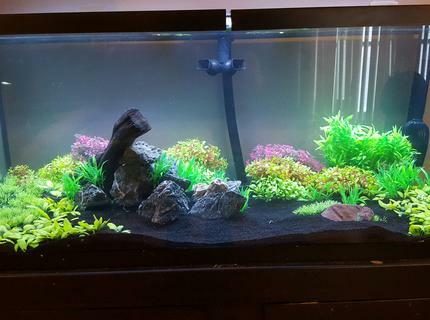 Corals/Plants: Balansae Plant, Amazon Sword Plant, Java Fern, and mixed Anubias. Advice: Have PATIENCE! Listen to the advice and wisdom freely provided by other amateur hobbyists and experts alike. Remember they are living creatures and treat them with the respect and hospitality they deserve. 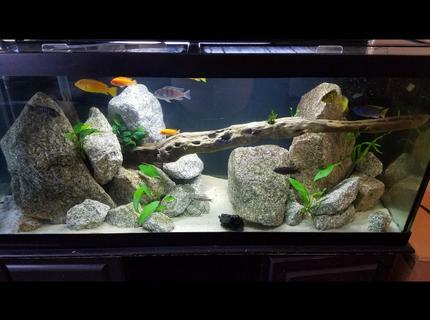 Description: This in my 72-gallon bow-front Lake Malawi African Cichlid aquarium. 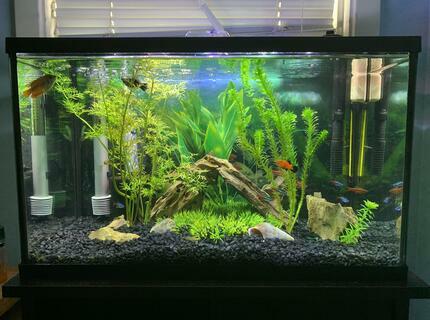 Re-planed every few months to offset what they eat and what can't survive the high pH. It's been up and running for about 2.5 years. Kept as a hobby. I hope you enjoy it. Have a great day! 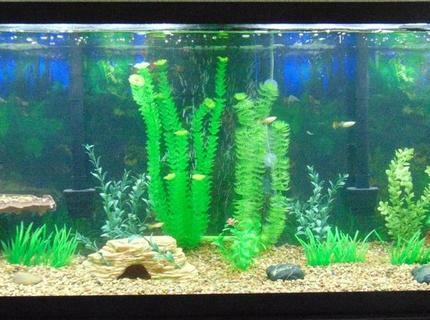 About Yourself: Addicted to fishing, and Aquariums. Advice: Do what you love, do your homework, ask questions and don't be afraid to make a mistake.